Sometimes, in order to get noticed, you need to bite your lip. When every trade show display out there is shouting at you with bright colors and images, something a bit… quieter is likely to draw your eye. 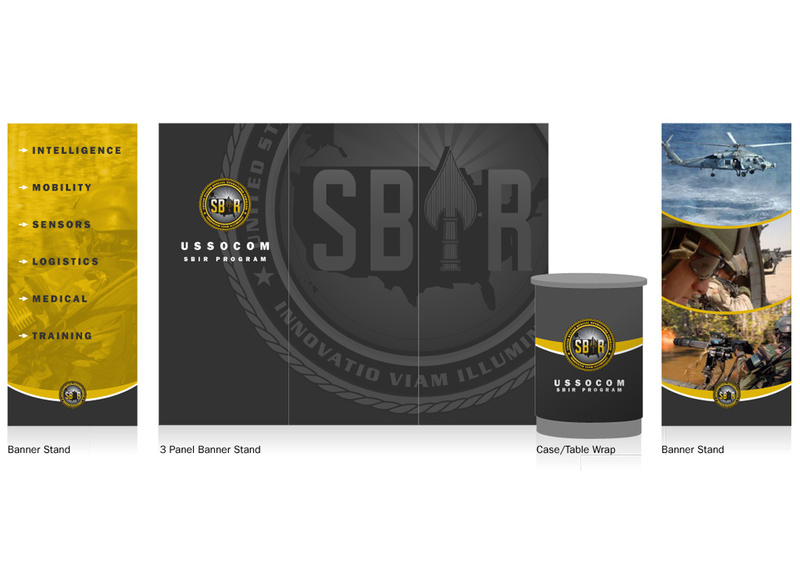 This was our plan of attack when USSOCOM SBIR came to us needing an attention-grabbing tradeshow display that was also portable and easy to set up. The dominant imagery on the back wall is the USSOCOM SBIR logo in shades of gray. Two additional freestanding banners were developed, one with contrasting, colorful imagery that represented the diversity of technologies which USSOCOM funds. This balance of subtle gray and a little hint of color really makes the display stand out on a tradeshow floor.